A recognised literary award winner has made Athlone her home. Swathi Sasidharan, who is of Indian origin, attained the noted FOKANA (Federation of Kerala Associations in North America ) literary award in recent times, moved to the heart of Ireland in 2005 after her husband commenced work with the computer software engineering company, Ericsson. 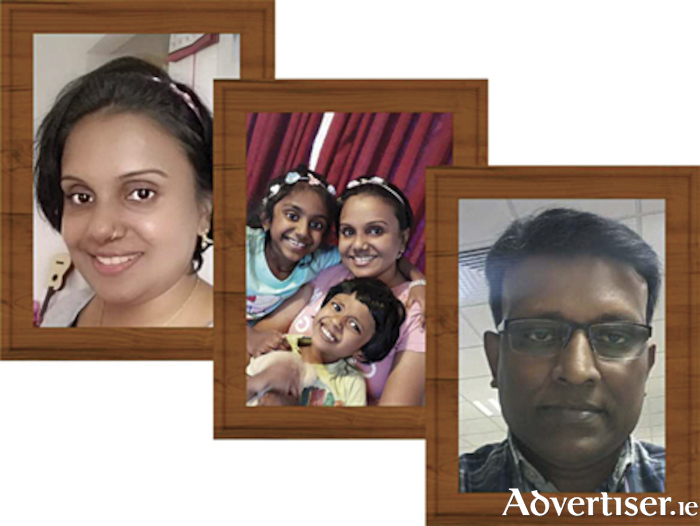 Now resident with her family - Swathi is the proud mother of two daughters, in Monksland, the writing enthusiast received the distinctive honour for her collection of life-based blogs entitled ‘Raindrops on my Memory Yacht’. The blogs, written from 2005-2007, were noticed by non-resident Indians and following permission granted by Swathi, the detailed prose was submitted for the award. Much to her obvious delight, the author was informed that she had won the prestigious penmanship prize. “This book is a journey of self evolvement from a 26 year old bride to a mature mother of two girls living in a foreign land. It is about the problems faced, along with the ongoing culture shock, while trying hard to fit in to Irish society,” Swathi said. The book, now available in paperback edition, is expected to be in Kindle and audible formats in the near future and reviews of Swathi’s work have been lauded on US online portals. Writing in bilingual fashion, English and her mother tongue Malayalam, Swathi is presently endeavouring to begin work on her second literary offering and has taken time out from her role as senior software engineer with Ericsson to focus on her family and allow ideas to flourish regarding her future writing. As she continues to write blogs pertaining to her real life experiences, Swathi and her family have settled into Athlone life and cites writing as a true passion. Should her flair with the pen continue, further awards will, no doubt, become a regular occurence for the ‘adopted’ Athlonian! FOKANA is an umbrella organization of Malayalee associations in North America and Canada. Since its inception in 1983, FOKANA has earned its reputation and received global recognition. It seeks to preserve the North American Malayalee integrity and promotes the Kerala Cultural identity. Several of these sons and daughters of Kerala have been recognized in American public life for their outstanding professional excellence. Page generated in 0.1270 seconds.